Something’s happening in the skies above Western Canada. Something unusual, fast-moving, and colorful. Is it angels? Aliens? Or a secret government experiment? Actually, it’s none of the above. The truth is out there, and its name is Steve. STEVE isn’t a who, it’s an aurora. That is, a gorgeous light show in the night sky. The name is a “backronym” that stands for Strong Thermal Emission Velocity Enhancement. Citizen scientists named the phenomenon “Steve,” because the name sounded friendly and informal. Later, scientists came up with a description (Strong Thermal Emission Velocity Enhancement) that fit with the name. But what is this phenomenon, and what does it mean? Generally speaking, an aurora is what happens when the sun sends out charged particles, and those particles interact with neutral particles in the Earth’s atmosphere. Image is CC SA 3.0, by Editor At Large, via Wikimedia Commons. There are different kinds of auroras. The first kind forms when the Earth’s magnetic field guides the sun’s charged particles toward the upper atmosphere at its poles. There, they interact with oxygen, nitrogen, and other elements. As a result, this interaction creates the dazzling displays of color known as the northern (or southern) lights. The northern lights and southern lights are also called the aurora borealis and the aurora australis. In addition, different elements create different colors. And the result is a beautiful light show over the North or South Pole. But now, scientists have discovered a third kind. Image is CC0, by 12019, via Pixabay. There is an electric field in the regions where people spot STEVE. This field points toward the poles. A second field – a magnetic field – points downward. The combination creates a strong drift toward the west. 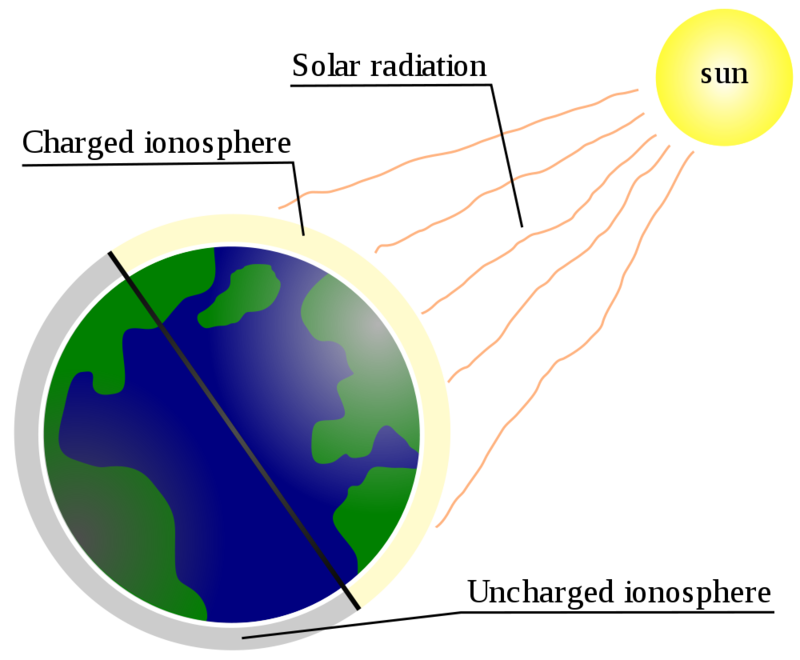 And the flow in the Earth’s ionosphere pulls the charged solar particles to the west. Along the way, they hit neutral particles and heat them up. The result is upward reaching, westward-moving streaks of light. Image is in the Public Domain, by NASA Goddard Space Flight Center, via Flickr. In addition to forming in a different way, STEVE looks different. First, it takes place in a different part of the sky. The northern and southern lights form over the North and South poles, respectively. STEVE forms farther south. As a result, more people can see it. Second, STEVE is an unusual color. 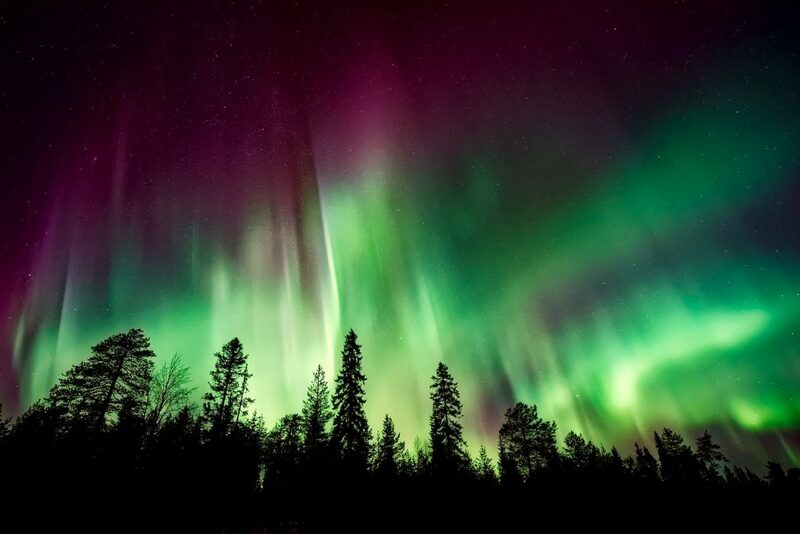 The northern and southern lights can be green, pink, red, blue, or violet. STEVE consists of purplish-green streaks. STEVE also moves differently. The northern and southern lights ripple horizontally across the sky. But STEVE is a distinctive, vertical streak that moves westward. Want to Help the STEVE Project? STEVE was discovered by citizen scientists, rather than professional scientists. What’s a “citizen scientist,” you might ask. Citizen scientists are members of the general public, who undertake scientific research and work, generally on a volunteer basis. Citizen scientists may or may not have scientific training. However, they do a lot of valuable work, especially in the areas of observation and reporting. Citizen scientists provide valuable “boots on the ground” support for professional scientists. In addition, they have been important to scientific initiatives in many fields, including astronomy, oceanography, zoology, and more. 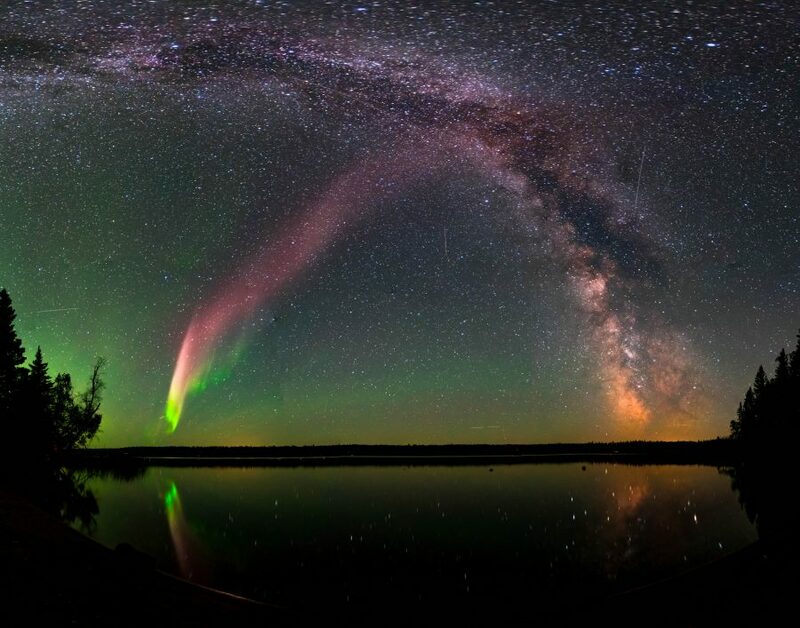 Are you interested in becoming an Aurora Chaser like the ones who discovered STEVE? Or maybe you’d like to help the STEVE project. Or perhaps you’re interested in citizen science in a different field. Well, you’re in luck. Citizen science is bigger and more active than ever, and there are lots of ways you can contribute. Aurorasaurus is a crowdsourcing project run by Elizabeth MacDonald. 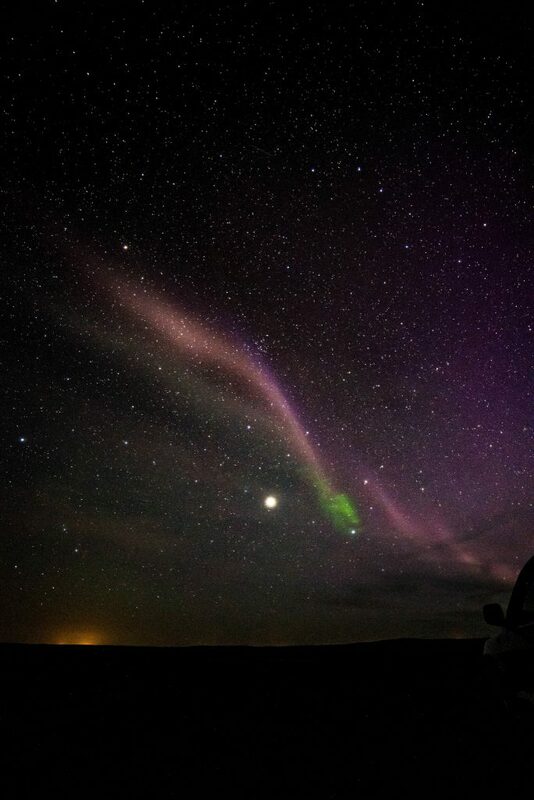 The project attempts to track auroras through social media postings about them. The data the project gathers will help scientists to better predict not only auroras, but potentially damaging geomagnetic storms. Read more about the project at Space.com. In addition, if you have photographed STEVE, both NASA and Space.com are interested in your photos. Finally, Zooniverse has a number of opportunities for aspiring citizen scientists to contribute to dozens of projects in many fields. 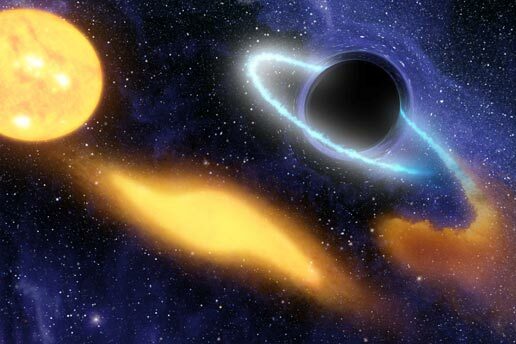 These projects include the Galaxy Zoo (astronomy), Snapshot Serengeti (zoology), and Shakespeare’s World (literature). The universe is a vast place, full of fascinating phenomena. And now, more than ever before, ordinary people have the opportunity to be part of new discoveries. What’s your interest? Astronomy? Nature? History? Chances are, there’s a group of people near you who share your interest. And chances are even greater that, as a citizen scientist, you, too, can help make new discoveries. Featured Image is in the Public Domain, by NASA Goddard Space Flight Center, via Flickr.